1-1/4" = 32mm wide Hand Brushed Leather. 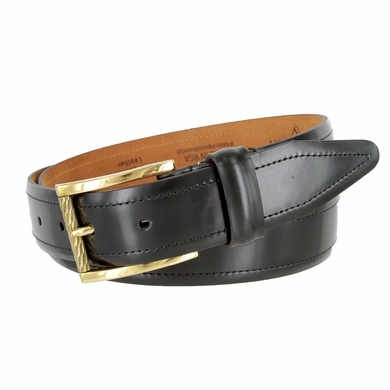 Simple Buckle For An Easy Fit. Stitched and Feathered Edges For Durability. Genuine Italian Made Gold Buckle And Roller.